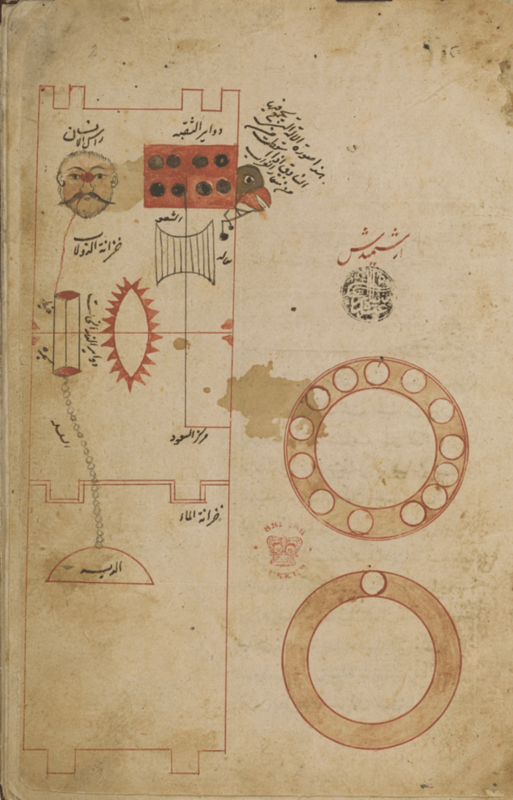 The Book of Knowledge of Ingenious Mechanical Devices (1206 A.D.), which was inspired by an earlier, 9th-century translation of Archimedes’ writings on water clocks. Devices such as the “Elephant Clock” (pictured below) were the most accurate time-keeping pieces before the first pendulum clocks were built in the 17th century by the Dutch scientist Christiaan Huygens. Another water clock design features balls dropping onto a cymbal from a bird’s head. 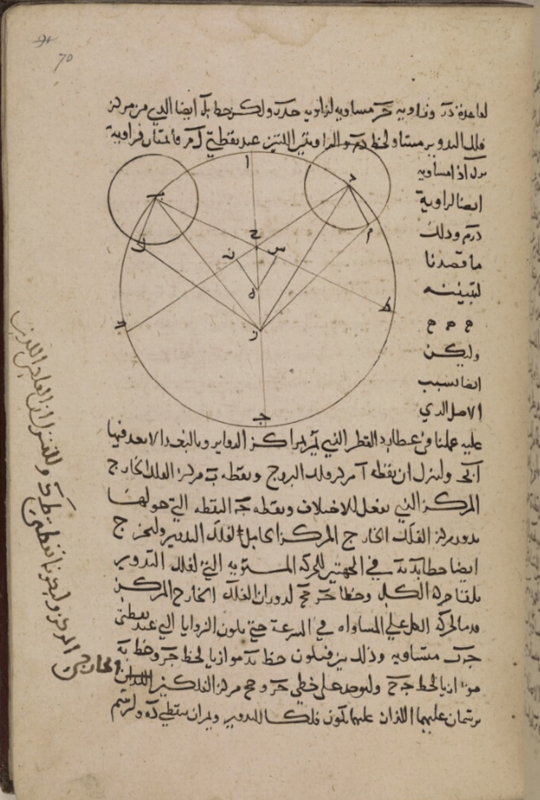 This is one of the only three recorded copies of an influential treatise on the construction and use of astrolabes by Abū al-Rayḥān Muḥammad ibn Aḥmad al-Bīrūnī (973-1048), containing 122 diagrams. 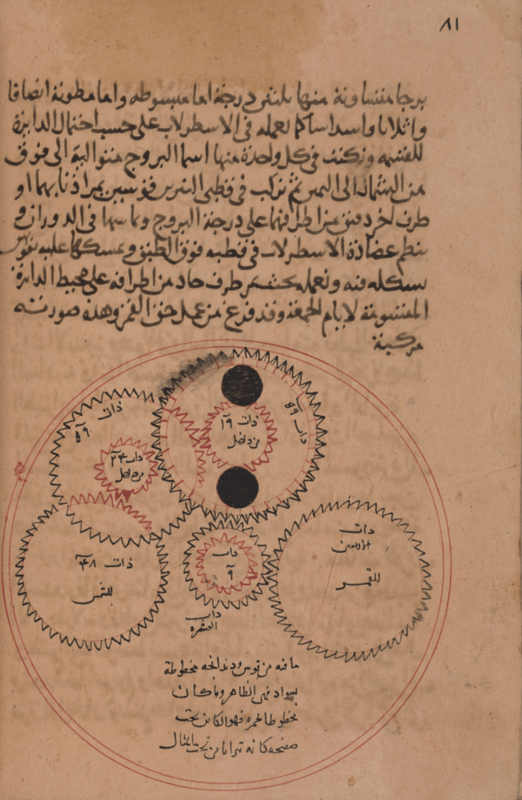 A translation (615 AD) of Ptolemy’s mathematical and astronomical treatise, The Almagest. 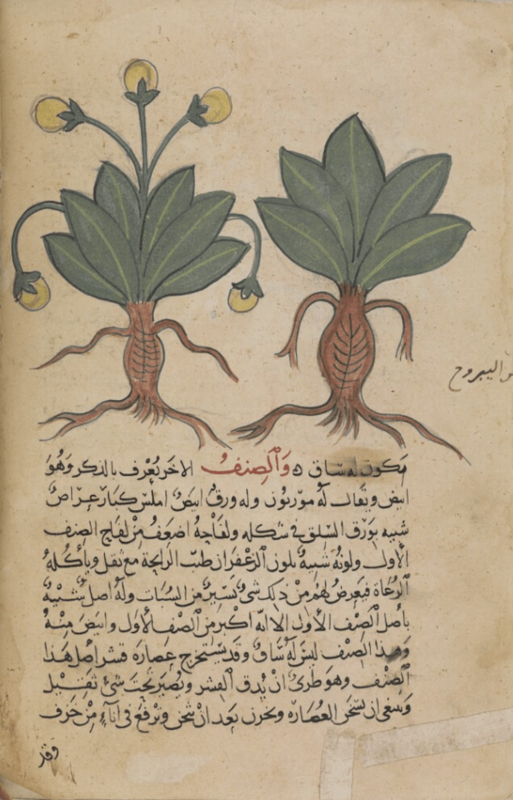 An Arabic version of De Materia Medica, an encyclopedia of herbs and medicine written in the first century AD by Pedanius Dioscorides, a Greek-born, Roman physician. 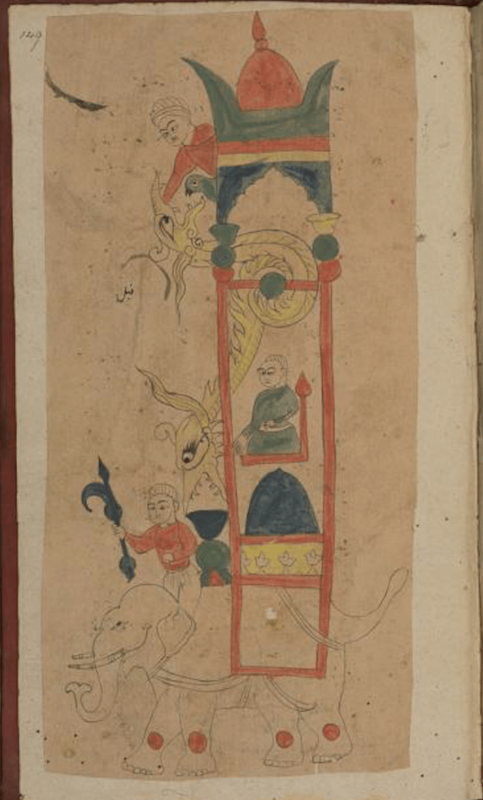 This translation was completed in Baghdad in 1334 A.D.
See more manuscripts at the Qatar Digital Library.